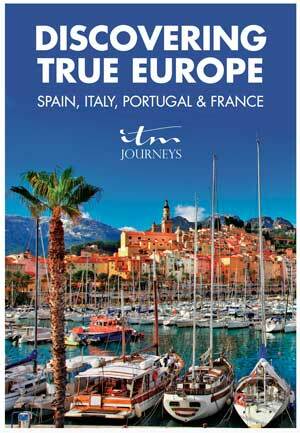 ITM Journeys is a group of expert European DMC. We have offices in Rome, Turin, Naples, Bari, Malaga, Barcelona, Madrid, Paris, and London. ITM Journeys offers everything from meet & greet services, airport, train or cruise ports of call transfers, guided sightseeing tours as well as the ability to book an array of charming and notable hotels. All of this is bookable both a la carte or as part of a tour package for both Individual FIT clients and Groups, large or small. ITM Journeys is devoted to assisting travel professionals, helping them to create the most of each travelers journey and ensuring that they have an authentic experience that will exceed their expectations. ITM Journeys allows you to work directly with expert destination management companies in Italy, Spain, France and Portugal. In each country, ITM has a team of experienced and passionate travel designers that are here to help you create handcrafted journeys for real travelers. One of our goals is that we want to take them out of the set routines of the classic circuits, and throw them into the vibrant living reality of the places they visit. Complete accuracy is what we pursue every day. We double check each detail, verify every single service provided, and follow up to ensure it was flawless. ITM Journeys is a company that belongs to several European DMC’s. This means that ITM Journeys rates are competitive because there aren’t third parties involved.